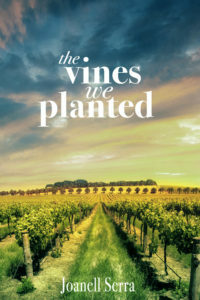 Check out The Vines We Planted on Amazon or at the publisher’s website. Please see the side-bar for discussion questions. Let us know if you’re club is reading Vines so we can add you to our map! The Vines We Planted Audio-book is now available on Audible and Amazon The Vines We Planted – on Audible. If you are new to Audible, I recommend it. You pay for one credit a month, which equals one book. Audiobooks can be expensive – and the credits are a much more reasonable amount. (About $16.) You can save credits up for six months, and I believe you can cancel any time. If you are planning to join audible and making The Vines We Planted your first book, please click here. You’ll be amazed how many more books you “read” when you can listen in the car, train etc. Enjoy. The narrator did a lovely job. So far readers/listeners are sending me great (happy) feedback. If You Enjoy The Book, Please Review! Simply go to the listing on Amazon and click “Review this Item.” You don’t have to have bought from Amazon to review. Goodreads is another great place to review. After reading Joanell Serra’s The Vines We Planted, I was not at all surprised to learn that she is a licensed therapist. Her characters were beautifully captured; with all of them, the readers are given an in-depth view into their complexities and emotional experiences. You can’t help but root from them as they face overwhelming challenges, from potential deportation to a failing marriage to secrets that threaten to upend their entire life views. The way Serra wove together multiple stories was gripping–this is the kind of book you can easily read in one or two sittings! Catherine Brown – Writer and Writing Professional. Please join my mailing list so I can send you fun things. Stay in touch! Tweet, write, blog, email.